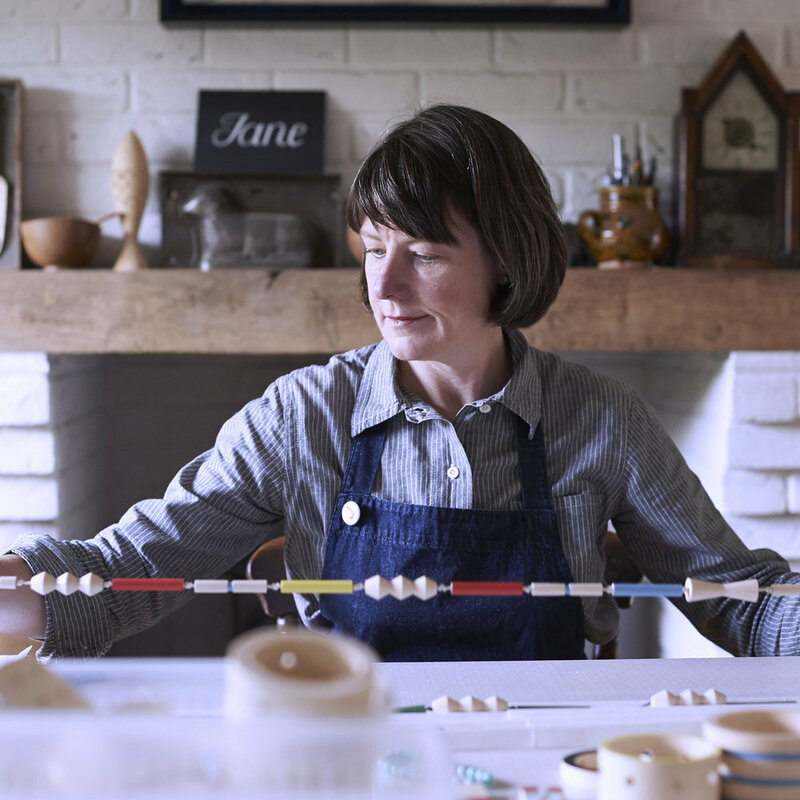 “Exploring Wellbeing Through Making“ is this year's theme for the programme of talks, workshops, demonstrations and exhibited work at Craft Central during London Craft Week. I will be demonstrating some of the traditional woodworking techniques I use in my practice, on Saturday 11 May 11am -2pm (free, no booking necessary). I will also be running an Introduction to Decorated Wooden Bead Jewellery workshop on 11th May 3pm-6pm, which is £45 and can be booked via the Craft Central website here. Celia Pym, Woman's Hour Craft Prize finalist, will discuss her visible mending of textiles as an art and her residency at Kings College London in the opening night talk “Damage and Repair”. Stitch School, experts in creating community-based embroideries, will be running drop-in sessions to take part in making a specially commissioned "Supper Cloth" throughout the week. Asha Buch will be provide a short history of the Gandhian approach to handcrafts, local and sustainable practices from India during her talk on "Wellbeing through Ethical Practice in Textiles". Soari Weaving workshop with Janine of Freeweaver Saori Studio. Natural Dying workshops with Georgia Bosson. Stitch School A-Z Embriodery Workshop. Drop-in Rug hooking with Sarah Desmarais. A free exhibition and demostrations run alongside workshops and talks, which can be booked via the Craft Central website. Check the Craft Central website for a detailed programme of events and booking here.